Talk about a HEAD TURNER! 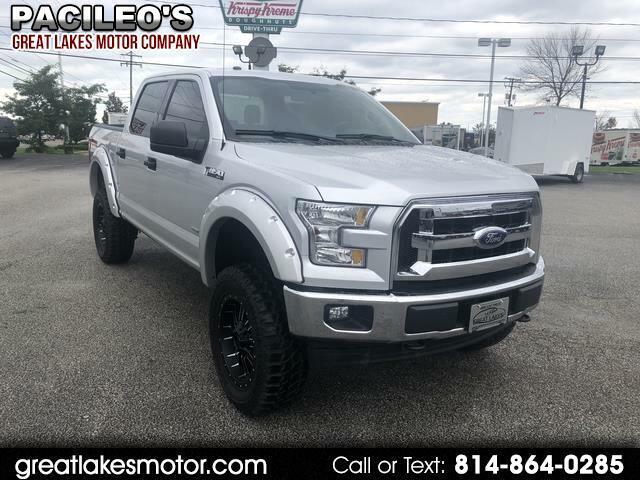 this 2017 F-150 Crew is one Bad Machine! We just installed a 6" suspension lift with 35" MT tries wrapped around 20" Raceline Black & Machined wheels, With a few sleek finishing touches such as RC Extreme steps, painted to match Bushwacker pocket flares, and tinted windows. You'll be sure to stand out over the crowd in this beast. Come on in for a test drive today, you'll be glad you did.